ADS-1000W Compact Color Desktop Scanner with Duplex & Wireless Networking. Scans single and double sided color documents in a single pass at up to 16ppm. 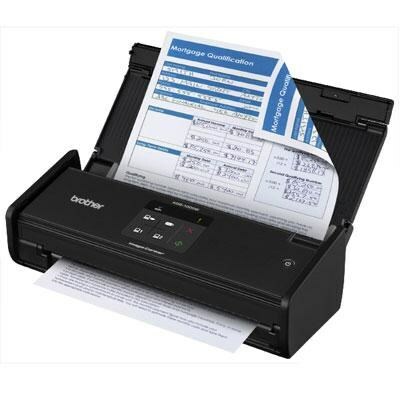 UP to 20 page capacity auto document feeder. Wireless network connectivity plus USB interface for local connections. Compact design with a footprint size of just 11.2" wide x 4.1" deep. Easy to use Touchpanel display for one-touch scanning to common destinations.